The humble walkway into the park with its little waterfall is long gone—replaced by a new, grander entry in a different area of the park. 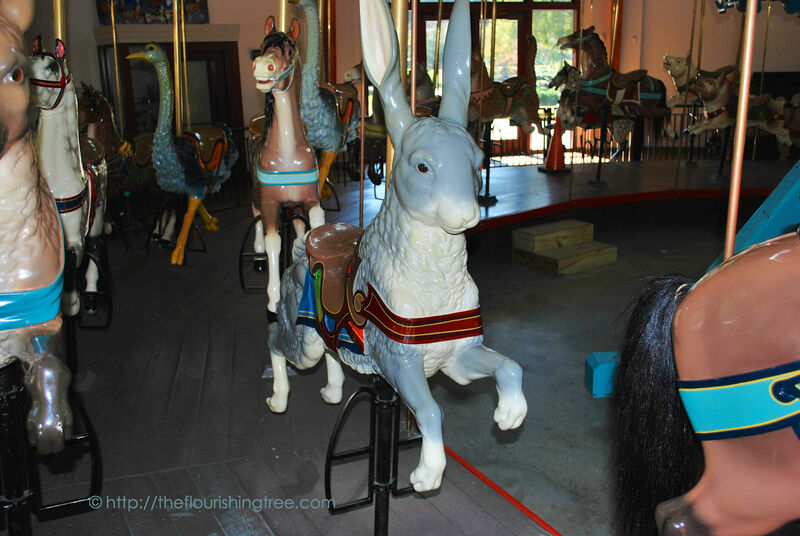 But some of the same rides and play spaces reassured me that you hadn’t lost the spirit of this place, only shined them up a bit. 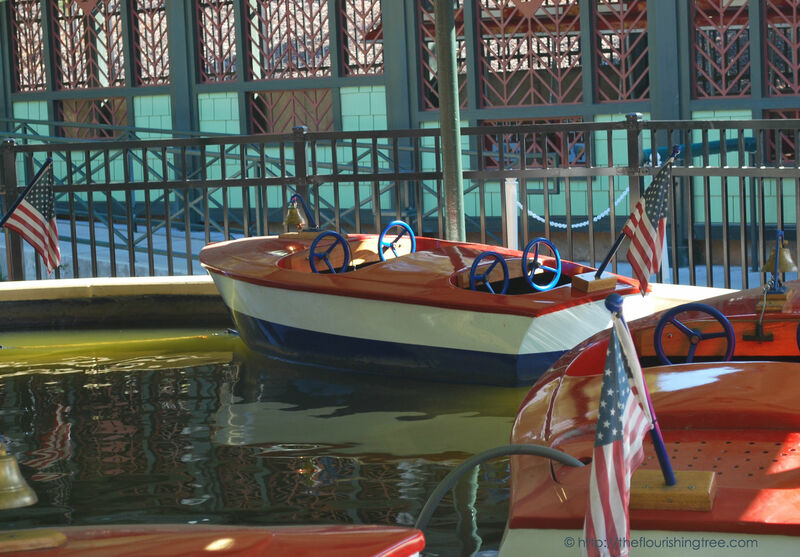 I’m guessing these boats are new since I rode them as a child, but the steering wheels are still there, and so are the bells children can ring as the boats ride around in a ring. 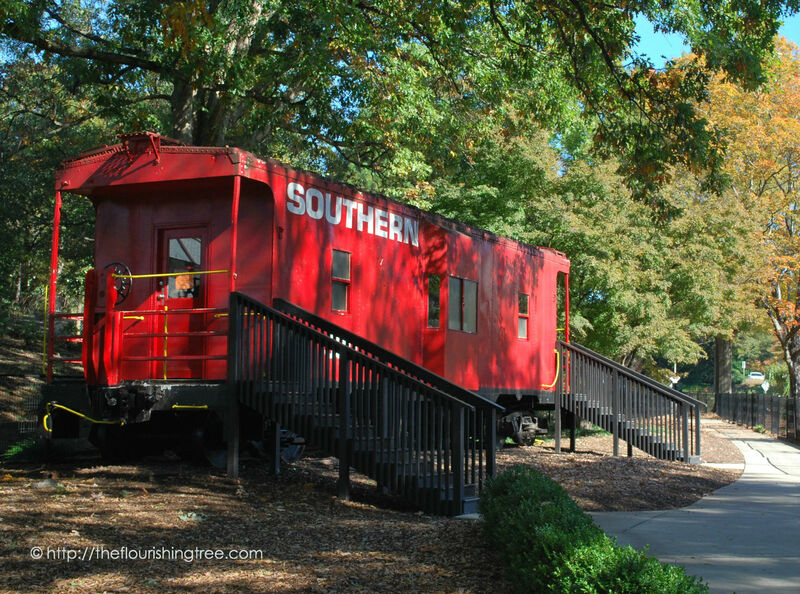 Ah, the red caboose — always cool inside, even on hot days … at least, that’s how I remember it. 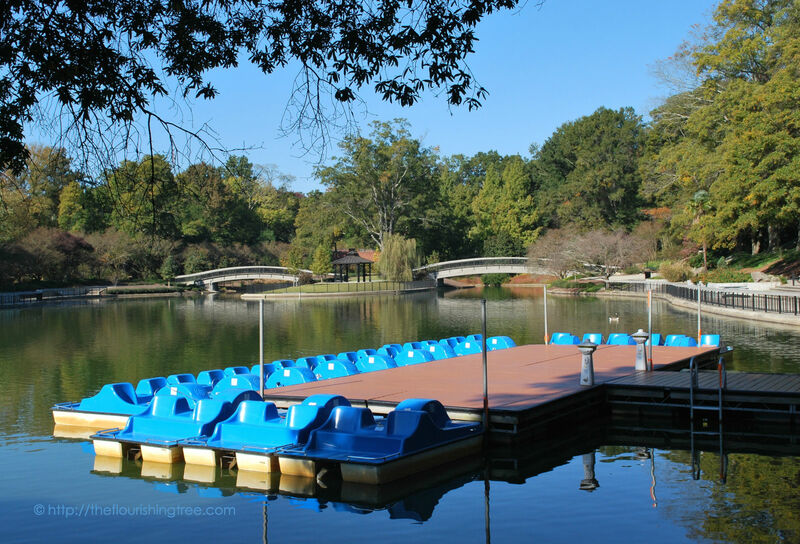 The paddle boats have gotten fancier, too. I will never forget bringing my nephews here when they were little. My younger nephew, who knew no fear, kept leaning out of the back of the paddle boat to put his arms in the water. At one point, I reached back just in time as he tipped over the edge, and I held him by the back of his life jacket to set him back in the boat. After that, we headed for dry land. Um, Raleigh, you know I don’t like to point out flaws, but could you please do something about the water? It used to be clear enough to see koi and other goldfish—my first experience with those gentle underwater creatures. Now, I’m not even sure the geese should be swimming in it (and I don’t even like geese). No water should be that shade of green, not even on St. Patrick’s Day. The playground is entirely different now, but I found a familiar friend tucked away under some trees by the pond. Is its dolphin mate somewhere nearby? 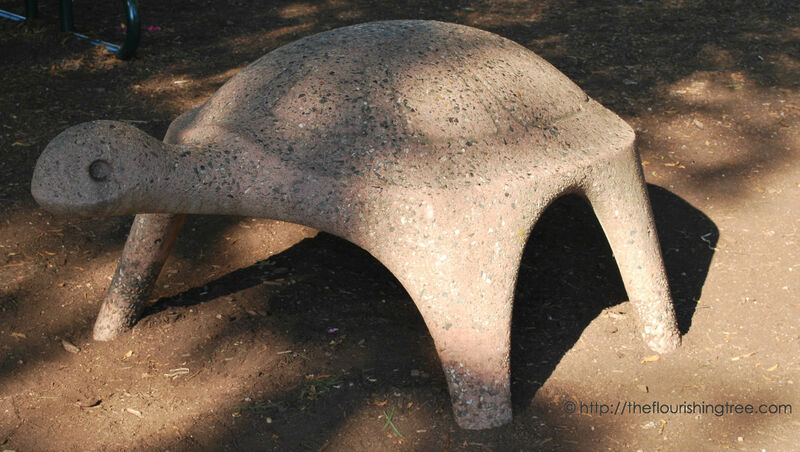 All I can remember is how hot this got on summer days, enough to make you wonder if you’d lose some skin while trying to climb up on the turtle’s back. Is it shrinking? It seemed so big back then. Did the train have to break down just in time for my visit? I missed its whistle, and the screams through the dark tunnel, and the rattle and shake as it made its slow tour of the park. 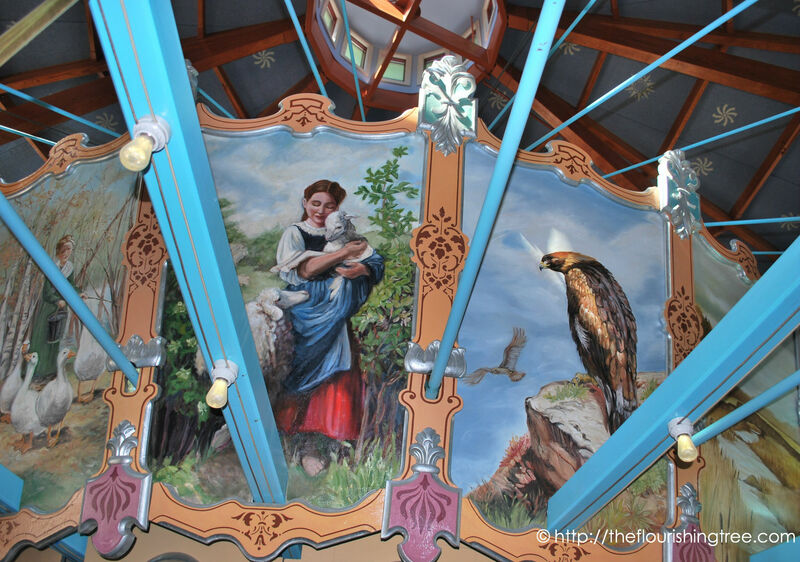 With the train silenced, that left me one ride option: the most fabulous, most entertaining, most joyful carousel. 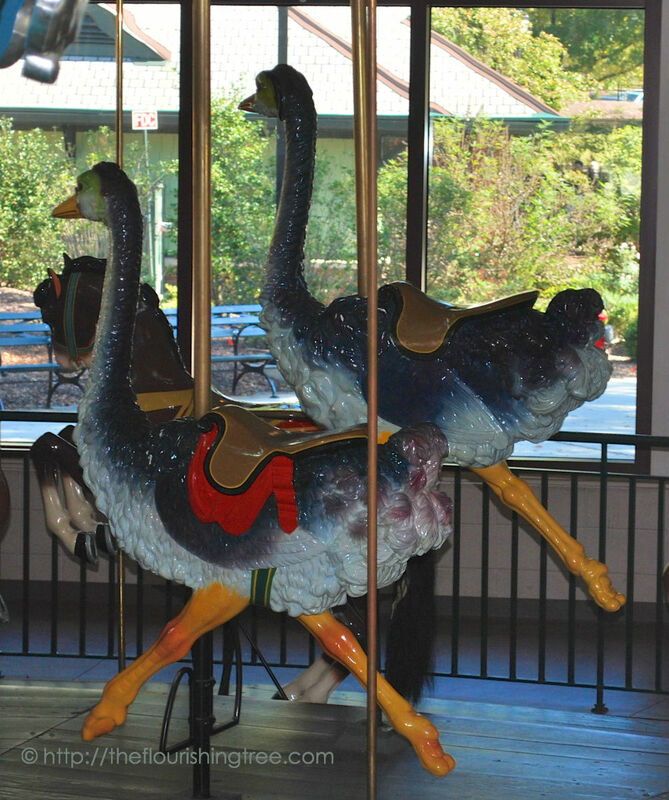 You know, Raleigh, I’ve never quite gotten over you closing the carousel during some of my prime childhood years. Don’t you know how long five years is in the life of a child? 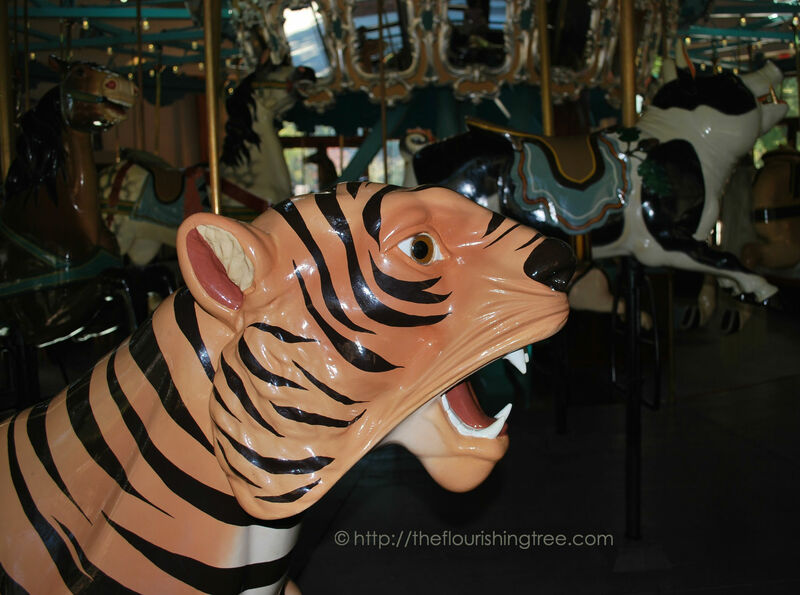 But I bought a ticket yesterday, and the carousel was in full glory. 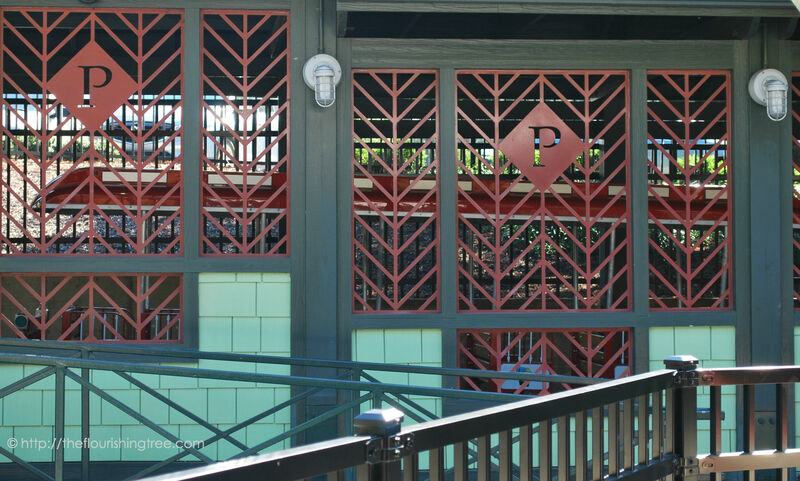 Thanks for preserving this glitzy piece of history for many future generations of Raleigh’s children. 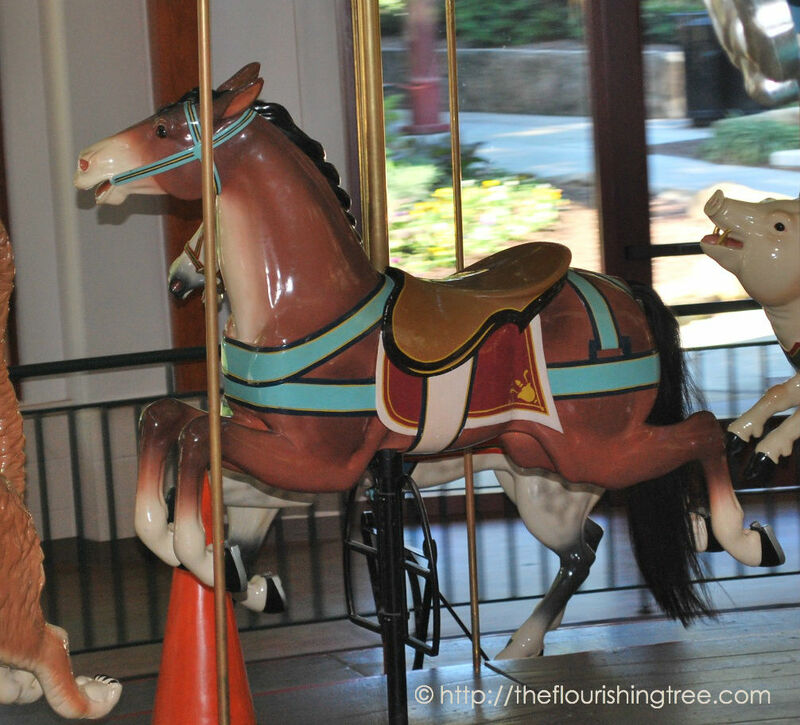 You’ve even given the carousel its very own protective outer shell. 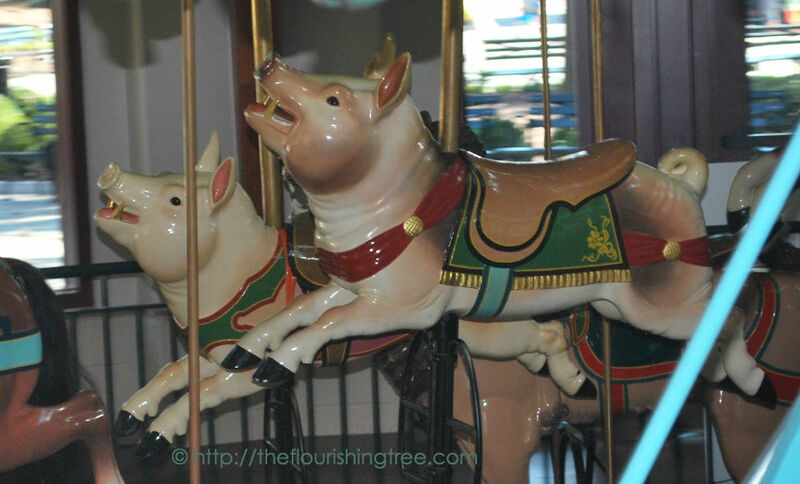 I always had a hard time picking which of the menagerie I would ride, but one thing was sure: it had to be an animal that galloped, which meant leaving the stationary outer ring to others. Raleigh, thanks for the irreplaceable memories across so many years. 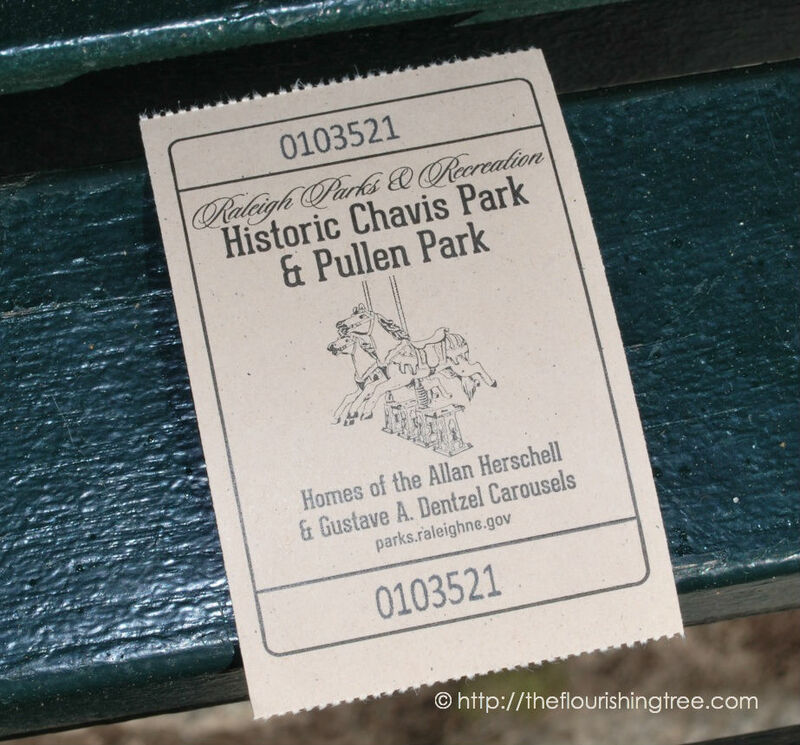 Thanks for preserving and improving Pullen Park. 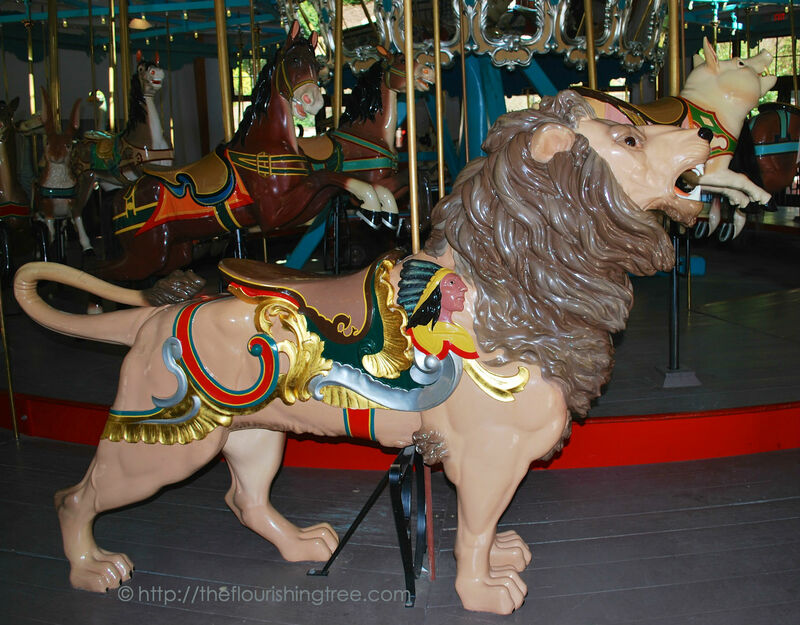 Readers: I’d love to know which carousel animal you’d pick to ride. 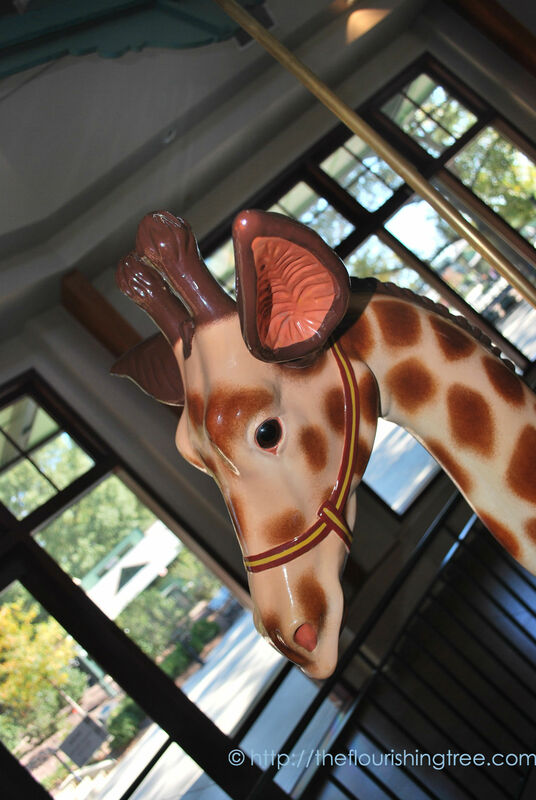 Do you have a favorite childhood spot that this park brought to mind? I’d love to hear about it! 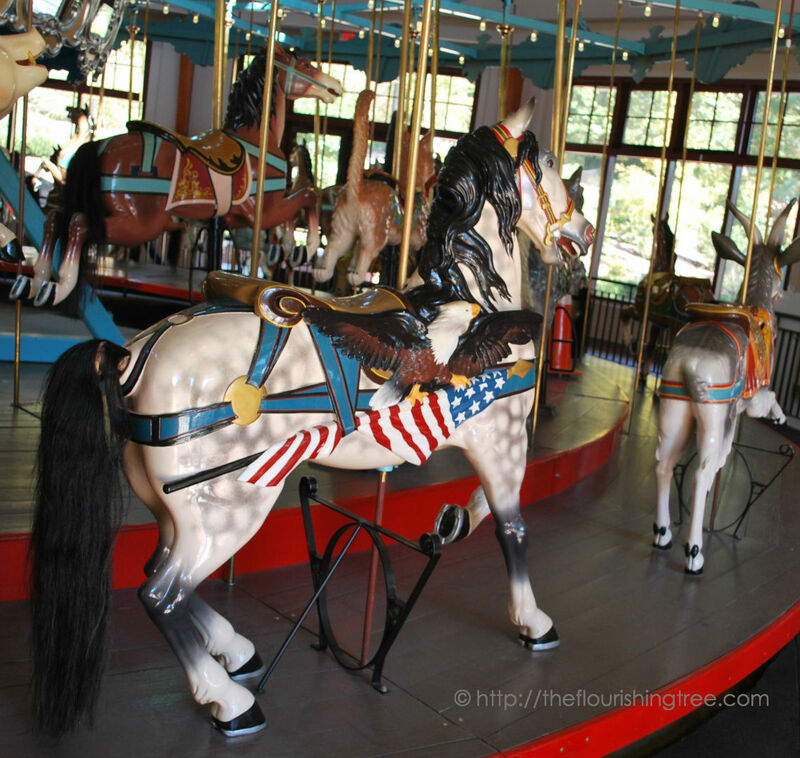 And for all you trivia buffs out there: Here’s great information about Dentzel carousels. 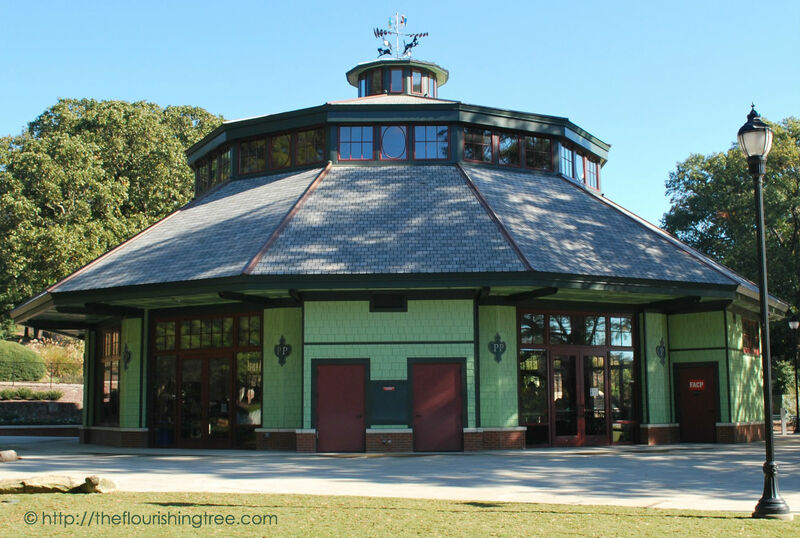 And the history PDF at Pullen Park’s site is worth downloading for a quick look at the park’s, train’s, and carousel’s histories. 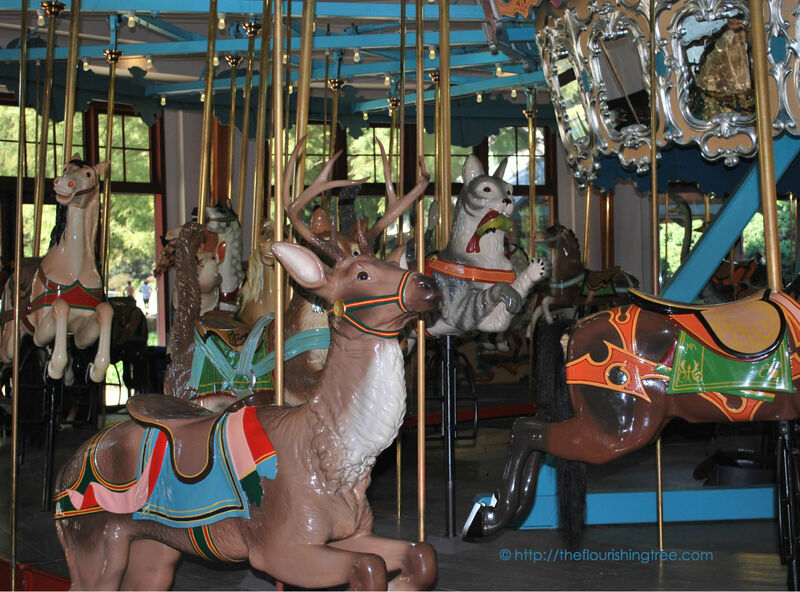 This entry was posted in flourishing tree and tagged caboose, carousel, childhood, city treasure, love letter, memories, playground, Pullen Park, Raleigh, train by hopesquires. Bookmark the permalink. You’re right — the bright blue is worse. I wish they could get the water to a point it didn’t need dye. Then maybe the fish could come back. 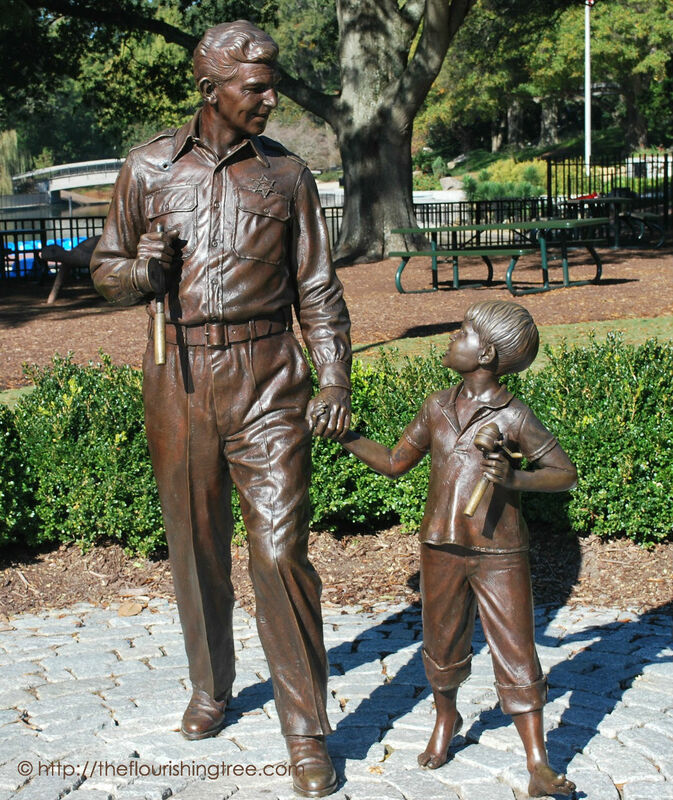 My first memory of Pullen Park was when I moved to the Raleigh area at the age of ten. 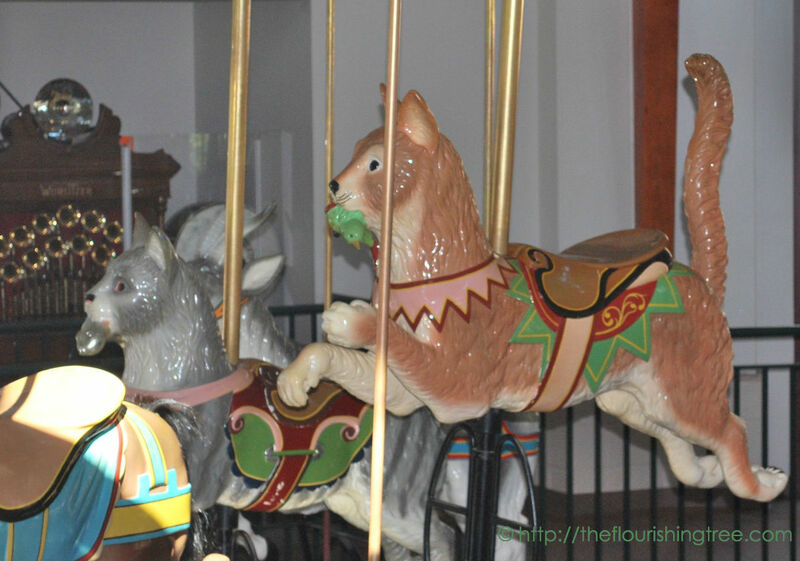 I loved the paddle boats, the train, and riding the carousel. As a teenager, I loved going to the hillside to spend a couple of hours lying under a big oak tree watching the wind blow the leaves back and forth (and observing the cute college boys from NC State 😉 ). As an adult, I brought my children to enjoy the park and participate in the great Easter egg hunts. 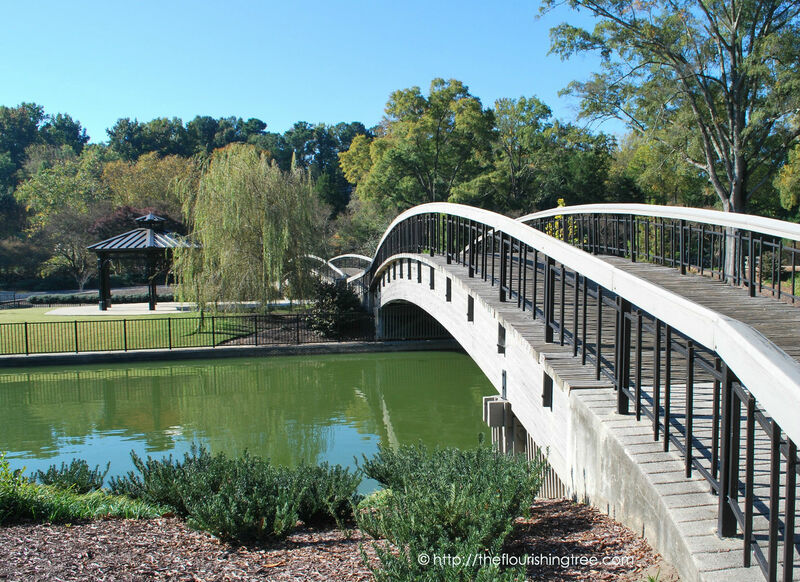 I agree that Pullen Park is one of Raleigh’s greatest treasures. It will always hold a special place in my heart. Thank You for sharing Hope! Fun memories of special moments through life. I’m glad you stopped by to share them. We only just moved here in the last 7 years, but this is still one of my favorites! You are right about the water though…. So glad you’re enjoying it. Well, except for the scary water. Maybe they keep it that way to discourage swimming. Now, when we have family or friends in town with small kids, we always go there for a special treat and it never disappoints!